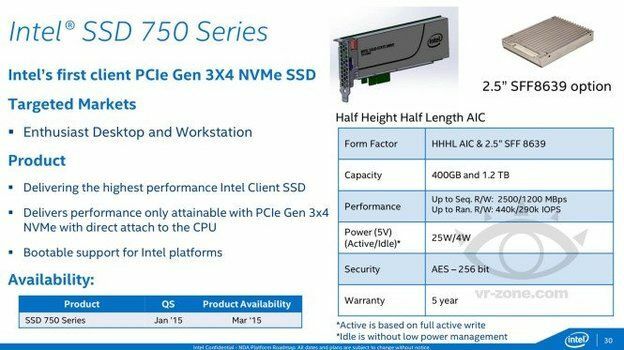 In a recent leak first reported on Computer Base and VR-Zone, new information points to a staggering upto 1.2tb capacity coming from Intels new 750 SSD which has four PCIe 3.0 lanes coming in HHHL AIC & 2.5″ SFF 8639 form factor variations aimed at both enthusiast and workstation environments, unfortunately if you don’t have PCI-express 3.0 and NVMe support an upgrade is on the table for you. Whats really mind blowing about this leak is the sequential read / write of up to 2500 MBps read and 1200MBps, with random performance at 440K IOPS read, 290K IOPS write using just 4w in idle state and 25w at full chaps, Intels first client PCIe Gen3 3×4 NVMe SSD looks to be an absolute scorcher stomping the floor of current generation SSDs providing blistering performance only the Samsung 850 Evo has a chance of keeping up with. 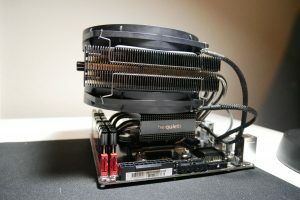 If the leak is to be believed 256-Bit AES encryption is also included in the package with a release date in March 2015. 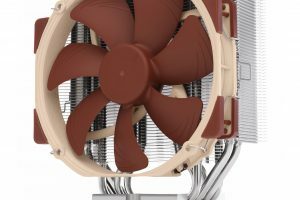 This would line up perfectly with the 1.2TB PCIe cards that have been popping up momentarily priced around $1500 to be taken down again rather quickly. 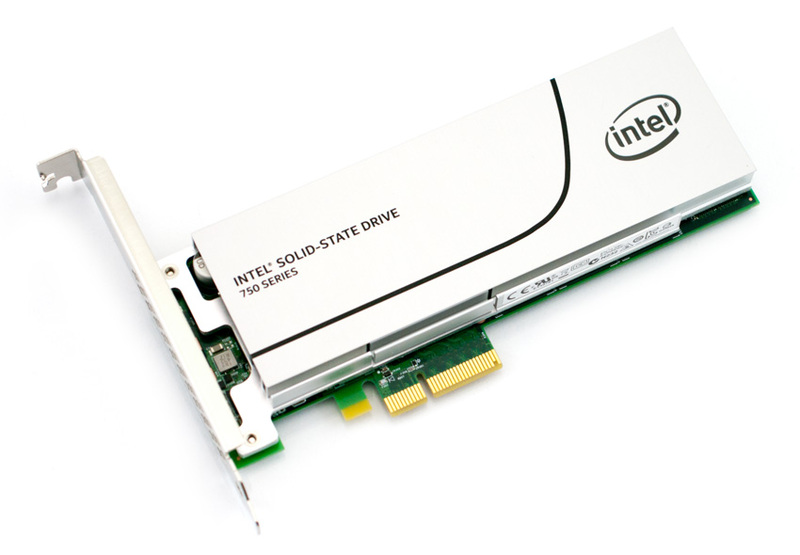 One thing I am dying to find out is whether or not Intels new 750 SSD series will produce as much heat as other PCIe hard drives that have come onto the market in recent years? Only time will tell but with the apparent launch set next month, we won’t have to wait long to find out.